There is no hard and fast rule for this, however it does help to start looking at suppliers in a logical order to create a seamless process. It is also worth noting that the following isn’t listed in order of importance (all suppliers are equally crucial to creating a fabulous day! ), but which to secure first in order to provide the foundation for booking others. There are also certain suppliers you should consider booking early if they are in particularly high demand, to ensure you get your chosen date firmly in their diary! This is a crucial aspect and often booked before all others. If you have your heart set on a certain venue (or venues, if holding your ceremony and reception in separate locations), you should definitely schedule a meeting to discuss available dates and make a provisional booking. 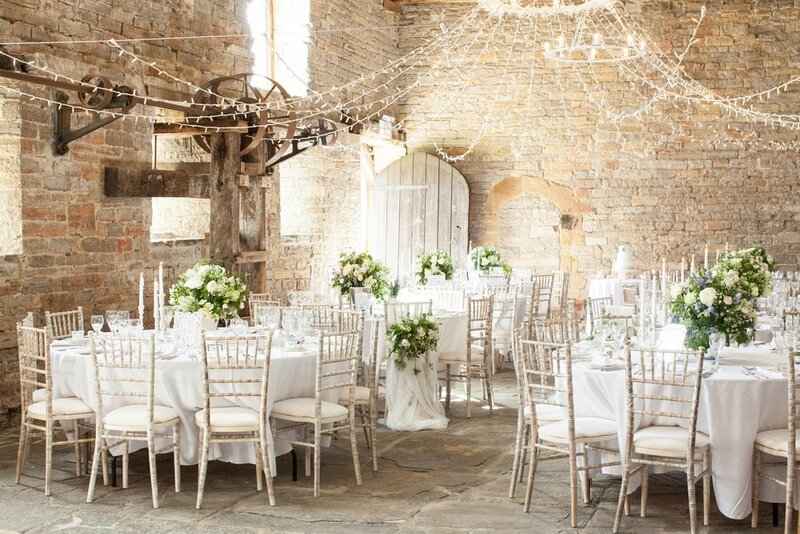 Many popular reception venues are booked up well over a year (sometimes 2-3 years for peak Saturday dates), so it’s wise to get this booked as early on as possible. If undecided on a wedding venue and looking for recommendations, a wedding planner should actually be the first supplier you book, however most often planners are contacted after the venue has been decided and prior to any other suppliers. You may of course decide that you don’t actually need a full wedding planning service, but would prefer the security of an on-the-day coordinator to finalise the details later, but either way it’s advisable to do your research and get in contact with your preferred planner/coordinator early on to check availability and book your selected date in! Again, many popular wedding photographers are booked up well in advance (often 1-2 years prior to the wedding date), so if you have had your eye on a particular photographer’s style do reach out early to get your date in their books! If your catering isn’t provided in-house by the venue, you will need to look at options for external catering. Your venue are likely to be able to recommend caterers who have worked there previously, however if you have your heart set on a particular catering style (or have a certain caterer in mind), you will need to get in contact with them to arrange tastings and confirm they are available on your date, and able to cater at your venue. This can be a slightly tricky one, depending on your preferred ceremony. If opting for a civil ceremony, registrars can only be booked within 12 months of the wedding date - so if you have booked your venue over a year in advance do take note to book your registrar as soon as you can within the 12 month window! However if you opt for a humanist ceremony (highly popular amongst those looking for “non-traditional” and outdoor venues where legal ceremonies aren’t possible), you can begin researching for a celebrant as early as you wish. If possible it is worth contacting and meeting 2-3 celebrants to get a feel for the connection you have with them and to convey your ideas for your ceremony, so do factor this time in. Often I’m approached by couples from oversees, where the cake can be one of the last wedding items to be ordered. It is worth noting however, that in the UK cake designers are largely self-employed (many operating from their home kitchens), so the most popular can get booked up many months in advance! If you have been eyeing up a particular designer’s Insta feed for some time, do drop them a call or email to ensure they have availability to create your dream cake! This largely depends on your stationery requirements - if opting to send save the dates, a stationer will need to be enlisted fairly early on in the process, however if choosing formal invitations and on the day stationery only, this gives flexibility to book this in later on. 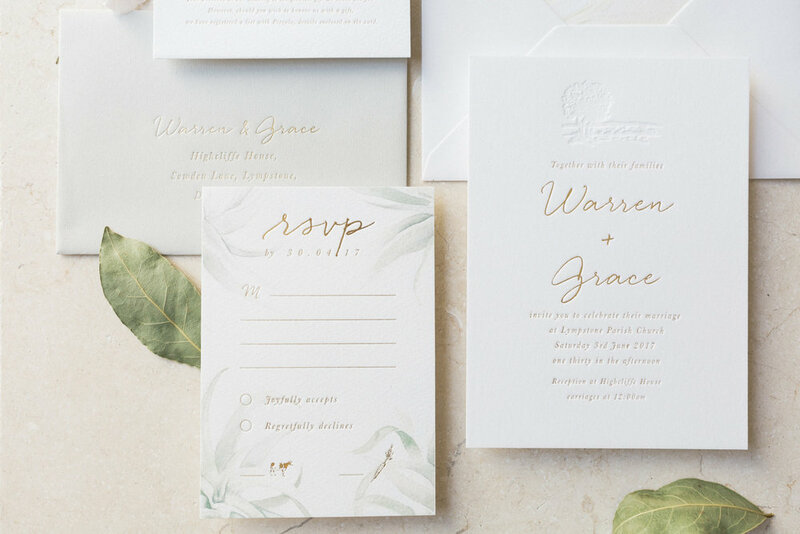 Do bear in mind to have your overall wedding aesthetic/colour scheme decided prior to your invitations being printed, to give a cohesive feel across all stationery. Again, it’s advisable to ascertain your aesthetic and colours ahead of contacting your favoured florist, to give them a firm idea as to the look you are wanting to achieve. Book too early and your ideas might change several times over (giving them a lot more work to create your floral proposal, and more difficult to provide an overall quote), however book too late and you run the risk of your preferred florist being no longer available on your selected date. It’s a good idea to start looking at hair and make up options early on, even if you have only a vague idea as to the look and style you are after! Some of the most highly sought-after hair and MUA’s are booked up well over a year in advance, so it’s preferable to get your date booked in their diary early on and discuss specific styles when you book your trial. We are fortunate to have a wealth of musical talent in the South West, so you are pretty sure to find a DJ or band to meet your preferred style and expectations! That said, if you do have your heart set on a specific DJ/band, get in contact with them next to ensure they are available on your date and able to travel to your location. Particularly if opting for furniture other than that provided by your venue, or if choosing a DIY venue, this should be next on the list to research and book. Again, you will need to have your overall vision in place to decide on your chosen furniture, and it is worth double-checking any decor rentals with your florist prior as they may well have certain pieces/props available to hire within their inventory to avoid hiring separately! Videographers are usually booked later than photographers (some couples don’t even decide they might want one until well into the planning process! ), but if you do know that videography is high on your wish list, start taking a look round next. It’s worth asking your photographer for recommendations as they are likely to be able to advise who they have worked well with previously. Often a consideration some way in to the planning process, but non-musical entertainment (photo booths, magicians, lawn games), should be given some thought. If you have spotted a particularly good magician or a well-run photo booth at a previously attended wedding for example, don’t hesitate to get in touch early on. If you’re only looking to hire a few entertainment props for the cocktail hour however, this can be thought out later on in the process after the remaining budget has been allocated. For more information or to book a complimentary consultation, please do get in touch via my contact form, or reach me directly via email at info@theplanninglounge.co.uk.